The Thyssen-Bornemisza Collection is made up of nearly 1000 paintings that span the history of western painting, from the 13th century to the final years of the 20th century. 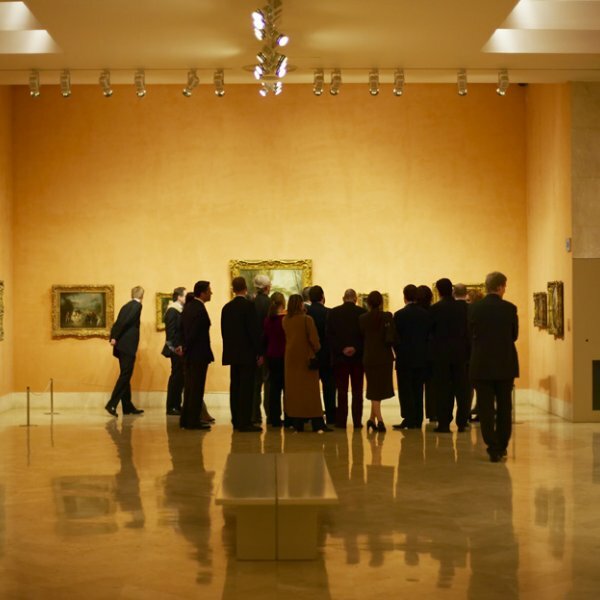 Our visitors can walk through the history of art and will see the unique works of many famous masters such as Dürer, Raphael, Titian, Rubens, Rembrandt, Caravaggio, Manet, Renoir, Cézanne, Van Gogh, Gauguin, Kandinsky, Picasso, Dalí, Hopper and Rothko. Just like in a book, the artistic movements roll from one into another, with breath-taking real-life examples. The collection was acquired by the Spanish State in 1993, becoming an important part of Spain’s national public heritage. The maintenance of the works, their materials and the conditions in which they are housed all require a great deal of attention and care. The Fundación Mutua Madrileña is one of the museum’s key partners in helping to preserve and maintain this valuable collection to the high standard it deserves. Technical study and restoration of "Saint Catherine of Alexandria"